“Humans aren’t the only mammals with an endocannabinoid system that’s capable of being affected by CBD. Your beloved furry companion has the same biological pathways, and can experience the same potential benefits from CBD as you! Across the world, owners who love their pets are exploring ways to keep their animal sidekicks as happy and healthy as possible — and that includes cutting-edge treatments like CBD. 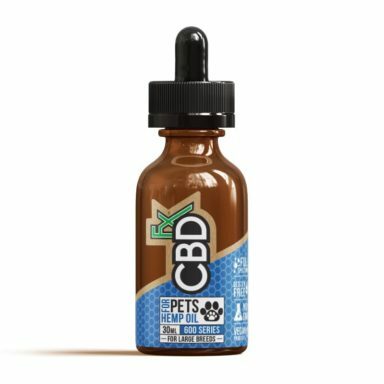 What Are The Benefits Of Using CBD Oil For Pets? For humans and animals alike, more research needs to be done before we can definitively say that CBD “causes” positive health benefits. However, the results of initial trials, as well as the glowing anecdotal reports from real-life people worldwide give us a glimpse of what’s possible. So far, CBD is being used in pets primarily to ease pain, reduce anxiety, and alleviate nausea. For older pets who are starting to experience joint pain or hip problems, CBD can be a huge relief. For nervous or anxious dogs who bark too much, or are too afraid of the world around them, CBD may provide a much-needed break from their own neuroses. Many owners have also found that CBD oil for dogs or cats helps to quell an upset or nauseous stomach in pets who suffer from gastrointestinal discomfort. Plus, there’s no shortage of people dosing themselves and their pets with CBD primarily for the possible preventative and holistic health effects it may offer. 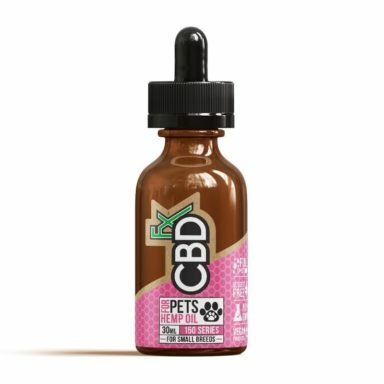 How Much CBD Pet Tincture Should I Use? Our 300mg medium breed CBD oil has been specially formulated for mid-sized pets of around 20-60 pounds. 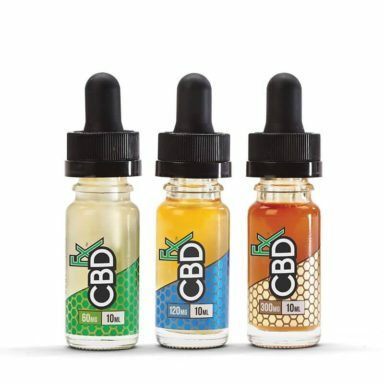 For most breeds, this will be the optimal choice to calibrate the perfect dose of CBD oil for dogs while minimizing any drowsiness side effects. Each drop of our medium breed pet CBD tincture oil should work out to about 1mg of active CBD. The general guideline is to use 1 drop for every 4 lbs of the animal’s body weight. For example, your 28 pound corgi will find their ideal dose to be somewhere around 7 drops per day. Of course, you can also start smaller than that, see how the animal reacts, and slowly increase the daily dosage based on how you see your pet improving or responding to the CBD. Lastly, don’t forget to let us know if you have a story about how your beloved furball benefitted from their CBD treatment! 100% natural and organic easy-to-use formula for your furry companions. Made with high quality and organic ingredients.